This scholarship program provides Missouri students an opportunity to disseminate their message by writing an article or creating a poster or video addressing the issue of underage gambling. One (1) $2,500 first prize scholarship and Three (3) $1,500 second prize scholarships will be awarded. 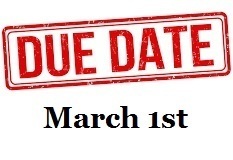 The article, or video entry, completed application and other required documentation as outlined in the application must be received by March 1, 2019.